" after receiving a letter of complaint from Louis Vuitton claiming that the works damage the image of their luxury products because they incorporate material from counterfeit products. " 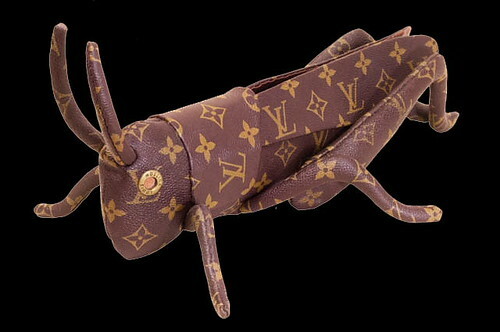 So if they had been made from real LV bags it would have been fine? Well it's a good thing LV got this show shut down to stop people from seeing the sculptures. Otherwise I would never have gotten to see them. Sounds like their lawyers need a major beat-down. What a ludicrous bunch of schmucks their lawyers are, and the only way to deal with lawyers who abuse the legal system is to use extra-legal measures, like beating them to a bloody pulp, and possibly maiming them for life in the process. It's just so much more viscerally satisfying than something like counter-suing them. And, they may take a lesson from it, but I doubt that. But, as always, there simply is no justice in this world, because the lawyers have rendered the term obsolete. If someone were to unceremoniously beat the living crap out of one of these parasitic turds, I would be happy to contribute to their legal defense, assuming, of course that they actually ever get caught. No guarantees of that, is there? Lawyer whacking goes on all the time, sometimes right in the courtroom. I have no problem with that if they deserve it, which most of them truly do. Remember the RFID tag show that was never aired? See here for more info on the aborted RFID sequence. Though there may be a couple of other reasons. 1) The Leather Cannon didn't work. 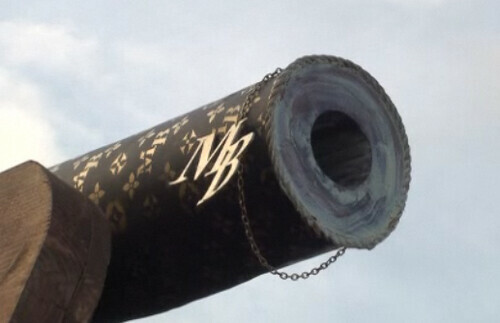 the "mb" on the "cannon" doesn't resemble the "vl" on the grasshopper. they're both a pair of uppercase letters, with squarish serif fonts. but are overlaid differently and consist of different letters.